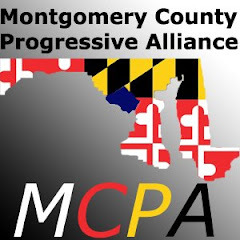 DELEGATE ROGER MANNO'S PRE-LEGISLATIVE SESSION COMMUNITY FUNDRAISER   Please join community leaders, neighbors, friends and activists for a  pre-legislative session brunch/lunch to support Delegate Roger Manno. Date: Sunday, January 11th, 2009 Time: 12:30 pm - 3:00 pm Address: 2138 Merrifields Drive, Silver Spring, MD 20906 http://maps.google.com/maps?q=2138+Merrifields+Drive,+Silver+Spring,+MD+20906  Join a discussion about the upcoming session of the General Assembly,  the challenges facing Montgomery County and the State, community issues,  and Roger's 2009 legislative agenda. Suggested donation: $35.00 Light Lunch will be served. To donate online, click here:  http://www.rogermanno.com/contribute/index.cfm?Fuseaction=contribute   RSVP/more info: Roger@RogerManno.com Please RSVP by Saturday, January 10th -- all are welcome!! Please make checks payable to Friends of Roger Manno. Bring checks to this event or mail to: Friends of Roger Manno 2138 Merrifields Drive Silver Spring, MD 20906. Checks must be received by Monday, January 12th for deposit before the  2009 legislative session of the General Assembly. Donate online here:  http://www.rogermanno.com/contribute/index.cfm?Fuseaction=contribute   Directions:    From Downtown Silver Spring or DC: North on Georgia Avenue, right on  Bel Pre Road, left on Layhill Road, left on Marymont Road. Follow  Marymont to the end (intersection of Marymont and Merrifields). House is  2138 Merrifields Drive (last house on the right on Marymont). From Rockville and Gaithersburg: East on Norbeck Road, right on Layhill  Road, right on Marymont Road. Follow Marymont to the end (intersection  of Marymont and Merrifields). House is 2138 Merrifields Drive (last  house on the right on Marymont). From Olney and Gaithersburg: South on Georgia Avenue, left on Layhill  Road, right on Marymont Road. Follow Marymont to the end (intersection  of Marymont and Merrifields). House is 2138 Merrifields Drive (last  house on the right on Marymont). Authorized by: Friends of Roger Manno, Vilma White, Chair; Sandra  Zimmet, Treasurer.